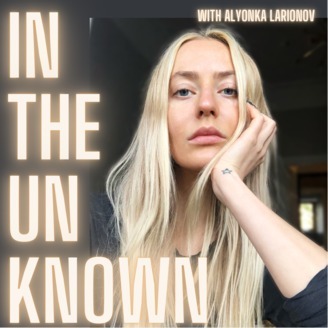 Hosted by Alyonka Larionov, the IN THE UNKNOWN Podcast is a series of intimate, unfiltered conversations sourcing only the Intuition without prior research or internet and social media browsing. After ten years working as a host, broadcaster, and producer in the male-dominated TV + Media Industry, Alyonka Larionov woke up to a shell of her former self. Steeped in her belief of not being good enough vis a vis her personal and public traumas, her workaholic tendencies acted as crutch to avoid her emotional growth, and left her unbalanced in all aspects of her life. She was stripped of her family + friends, her femininity, her authenticity and her voice. In April 2017, after nearly a decade battling Anorexia Nervosa, Alyonka stepped into Recovery and embarked on a journey of self-discovery, personal healing, and a yearning to better understand the human condition. She was determined to step into her Being and began building her foundation from within by Facing her Fears in the space of The Unknown and Finding Freedom from its Discomfort. As her confidence grew, she launched her website filled with her writings and her Story, and began facilitating guided workshops and moderated conversations titled In THE UNKNOWN which emphasizes on accessing Discomfort to achieve personal growth by Facing ones Fears and Finding Freedom from them. 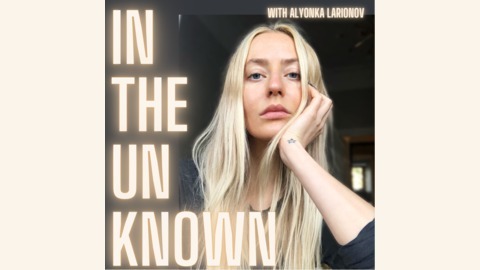 However, her passion for hosting and producing remained unfulfilled, and with her voice and intuition back in tact, Alyonka created the IN THE UNKNOWN Podcast. 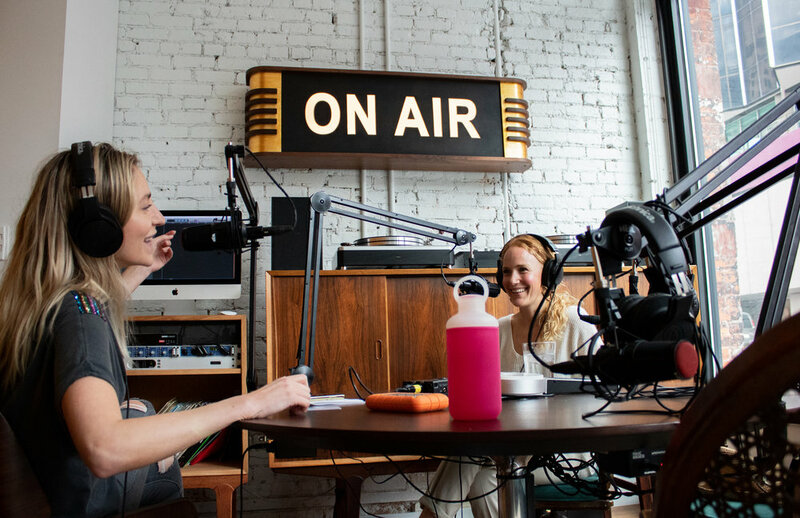 In each episode, you will hear Alyonka step into THE UNKNOWN with her guest, relying strictly on her intuition and active listening instead of using research to fuel her questions and the narrative of the conversation, in order to Challenge herself in the way that she challenges those who attend her Workshops. It is far from her old self and her type-A, perfectionist ways. Instead of arriving prepared, studied, with motives and predispositions, Alyonka is open and Surrenders to THE UNKNOWN. 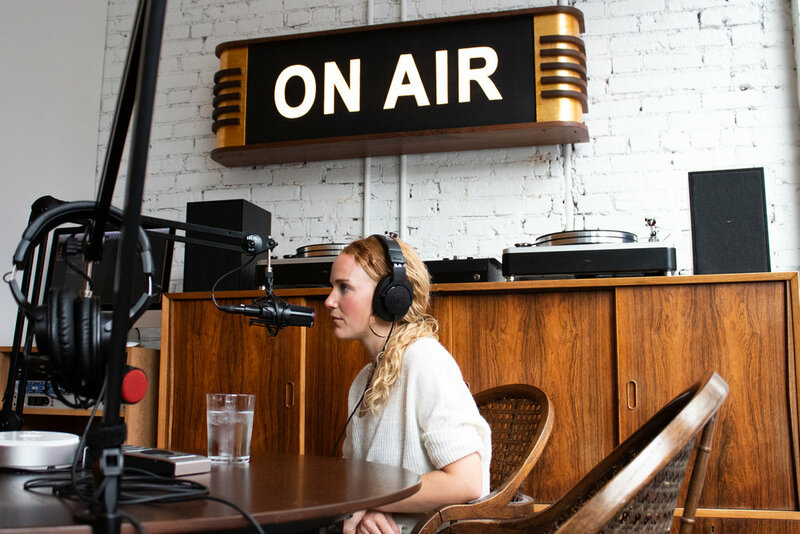 iTunes: click here || This podcast was recorded at the Detroit Foundation Hotel.“If I find that being a full-time artist compromises the work that I need to make — I should just get a job. Like, a part-time job. And not that that’s easy, but if that allowed me the financial stability to make the stuff that no one will pay for in order to make it, then I would do that.”HERE's the known.Let me start by saying: I love this being. She as an individual. She as an artist. She as a soul. She as a friend. Although, as you’ll hear in the pod, our meetings in-person can be counted on one hand. That’s because when we’re connected with our intuition, it’s that much easier to spot a fellow like-minded soul. She is a Detroit-based artist - arguably speaking, one of our most celebrated artists. Detroit wears her with pride. 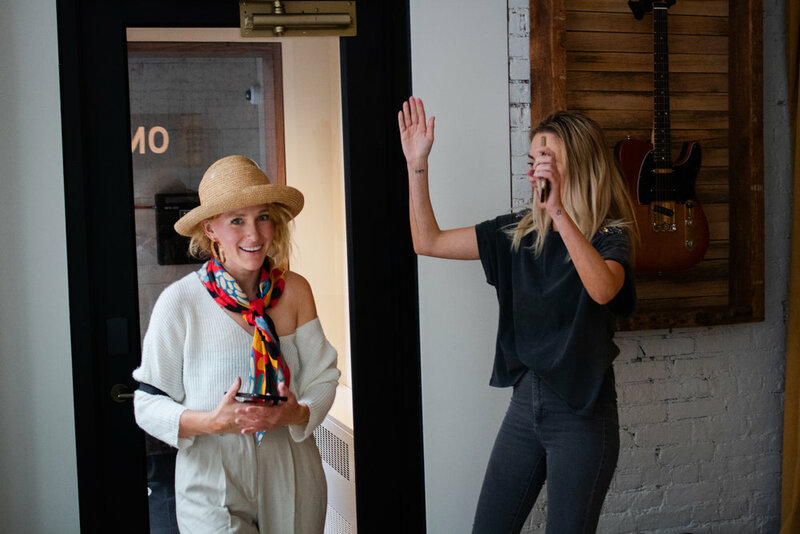 Walking the streets, one can catch her bright colored shapes placed on our most visible mural, livening up the walls of our burgeoning business sector in our WeWork’s, and waving proudly in flagship stores like Lululemon. She also, adorns the walls of local Detroiters, whose passion for the city isn’t complete without an Ellen Rutt piece. She’s also frickin cool — and approachable. She’s a friend of a friend of a friend and always willing to strike up a conversation, leaving the listener on the other side slightly changed from the encounter. Visibly, she is bright — like her art, and her smile smiles wider than yours. Simply put: you can’t miss her, and you shouldn’t.in this episode, Ellen bares all on her personal unknowns (see below), opening up on her battle with alcohol, the at times wildly loud inner-critic, and how she plans on bravely facing the road ahead in this next chapter of a nomadic lifestyle. Her trick? Listening. A tool she deeply developed whilst going into the woods. My personal favorite part? When she divulges on art-making. It is as lusciously sounding as love-making. There is an art form to the art-making. A trusting in one’s body, one movement after the next. A response, instead of a reaction. Mmmm.. it’s good to add to your toolbox, whether you’re looking to make art, make love, or to make the next best decision. Listen, take notes, and if you need further inspiration, find Ellen’s art. It will speak in the very same sing-songy whispers her voice speaks in.Ellen - you’re a frickin’ star. Thank you for this.HERE are ELLEN’S UNKNOWNs. I don’t know where my art career will be in five years or ten years. I don’t know where I’ll live. I don’t know how long I’ll continue to not drink alcohol. I don’t know if I’ll ever have kids or want kids. I honestly don’t know what comes next in my life. I’m about to embark on a semi-nomadic life a little bit and do some artist residencies because I grew up in and around detroit and I’m antsy. Will I be able to afford to do that? Do I get to do that?